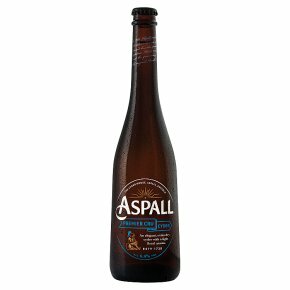 This cider is the flagship of Aspall's range, made from 100% apple juice. Straw gold in colour with a clean and light aroma of dessert apples, Premier Cru is creamy on the palate, with an elegant long finish. An ideal partner for charcuterie or mild cheeses, or serve with spicy foods, particularly curry. The first cyder produced by Barry and Hendry Chevallier Guild when they joined the business - seven years in creation - and still their favourite drink. Taste descriptor: Full dry with a sophisticated and elegant floral aroma that captures the essence of an orchard. Serving suggestion: Delicious with roast pork garlic & sage, chilli con carne, rogan josh, Red Leicester and White Stilton.